​Putting together a solid revenue-driving team “on the field” is harder than assembling the right parts to win an NFL game. 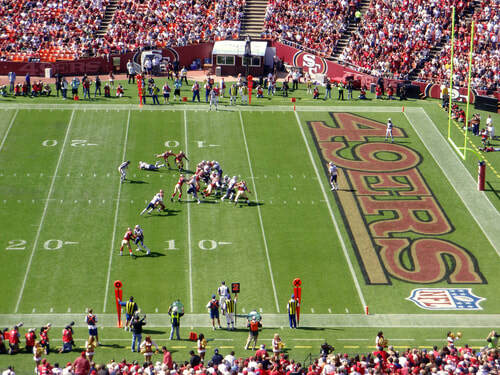 Yesterday, my beloved SF 49ers won their first game in only the second week of the season – it took them nine weeks last year to win their first game so hey, there is improvement! To win in the NFL, you must have a solid offense, a stout defense and efficient special teams: three solid teams must be equally strong! Winning in B2B sales is a little more challenging because your three teams - Product, Execution, and Sales - each need to be strong and integrated together towards the broader purpose: create value for customers and drive revenue. In turn, when Product and Execution is strong, Sales better run like hell and perform! In my position as someone who counsels revenue drivers on all vertical ends, I hear loudly from sellers when Product and Execution are lagging. And because seller faith and confidence is at the cornerstone of future revenue and margin growth, this is a big issue often unattended by senior leadership. There’s nothing worse for a seller than when "the script” created and enforced by management is fictional and unrealistic. Is company management frequently communicating about what they’re doing to improve Product and Execution? Does the company listen to you and your peers on the sales team regarding what you’re seeing and hearing from the front lines? Faith and confidence in senior leadership is an absolute must when it comes to how voracious a seller attached his/her day!" Are you and your peers on the sales team as competent and capable with the company’s offering as you can be? Are you performing to max capacity…and expectations? How is the quality of your feedback to company leadership? Obviously, there are numerous factors regarding team operations that help guide a seller how to think and act. A voluntary departure by a frustrated seller when the company is doing its best to improve is truly a cardinal sin. The company's communication efforts may truly be frequent and effective, yet there may be listening and/or comprehension challenges on the part of the seller! It takes between 12 and 24 months for a company to recoup its investment in the hiring of a new seller...so sellers should join a company knowing they're enlisted in the trenches for a minimum of two years! Faith and confidence in senior leadership must be as strong as Gorilla Glue when it comes to how voracious a seller attacks his/her day. At the same time, turbulence is the new normal in B2B selling. Sellers who can “sell what they have today” are certainly not walking around everywhere, yet at the root of everything is communication. ​If people are talking and taking responsibility, hang in there…lend a hand…help where you can. The grass is rarely greener.